We compiled a list of the top patent firms that are ranked based on the total number of U.S. utility patents that issued in 2016 where the patent firms were listed on the front of the utility patents. 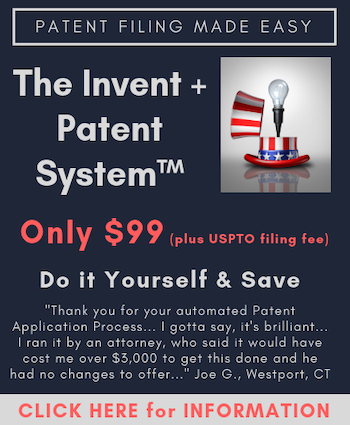 We have included only patent firms that have obtained at least 50 utility patents. We made an attempt to correct for typographical errors. We did not eliminate company legal departments from the list. For the list from last year see: Top Patent Firms for 2015. EDITORIAL NOTE: If your firm is not on this list and your firm did successfully obtain 50 or more U.S. utility patents in 2016 please contact IPWatchdog. Paul Harrity is a patent attorney with Harrity & Harrity, LLP. Paul started his career in patent law in 1991 as a Patent Examiner with the United States Patent and Trademark Office, examining patent applications in the areas of computer hardware and database systems. Prior to founding Harrity & Harrity, LLP in 1999, Paul worked as a patent agent and later as an associate at the law firm of Finnegan, Henderson, Farabow, Garrett & Dunner, L.L.P. Prior to joining the Patent Office, Paul gained valuable industry experience as a troubleshooter at IBM and a design engineer at General Dynamics. For more information, or to contact Paul, please visit his Firm Profile Page. Anna Yee is an intern at Harrity & Harrity, LLP. Any chance you could generate date about the number of registered practitioners at each of those firms and come up with a patents/practitioner ratio? Hello, I noticed that some listed firms do not have their rank number listed in the first column. Is there significance to this omission? When no rank is in the column that denotes a tie, so all those firms are tied for the same place.